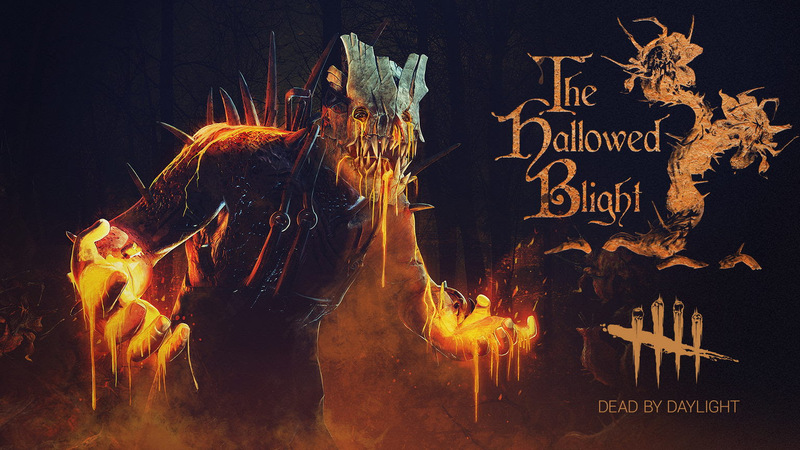 There’s plenty to die for in Dead By Daylight‘s Halloween Event, “The Hallowed Blight”. Starting today and going until November 2nd, Survivors and Killers alike have challenges to await them. While this event is in play, horrific experiments are conducted on unwilling specimens, injected with a toxin from a mysterious plant only found on the world of the Entity. This creates aggressive killers on the hunt for unwitting survivors. Survivors are in a rush to collect toxin from plants to fill Vials, though death can interrupt the process. And death is never more than a heartbeat away as Killers will be trying to fill their own Vials, hanging their preys on Cankerous Hooks. For both parties, filling a Vial rewards Putrid Serum, a special event currency that can be traded for wicked Hallowed Blight cosmetic pieces, a Survivor’s Will’o Wisp flashlight or the All Hallows’ Eve Lunchbox (medkit) that glows with ghastly images. There are also new Halloween-themed ensembles to be as spooky as possible.The game itself and certain DLCs will also be on sale across all platforms.